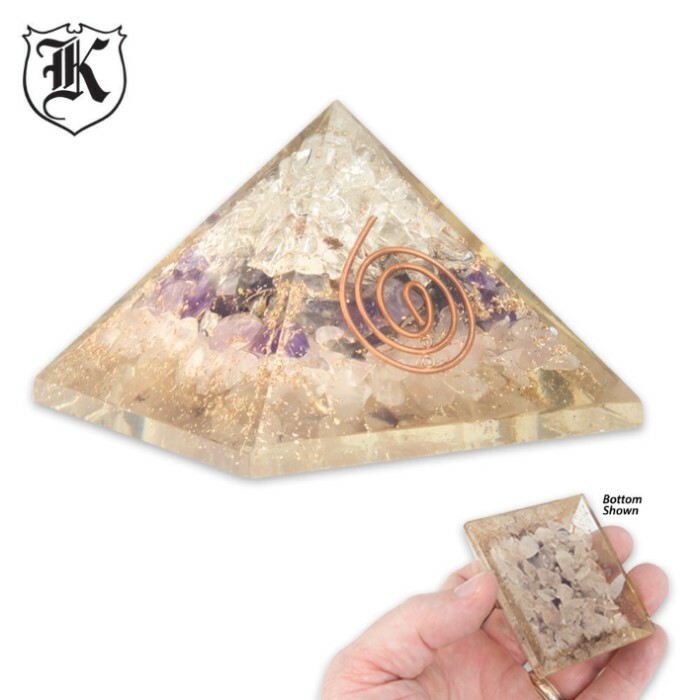 Amethyst Crystal Rose Orgone Pyramid | BUDK.com - Knives & Swords At The Lowest Prices! 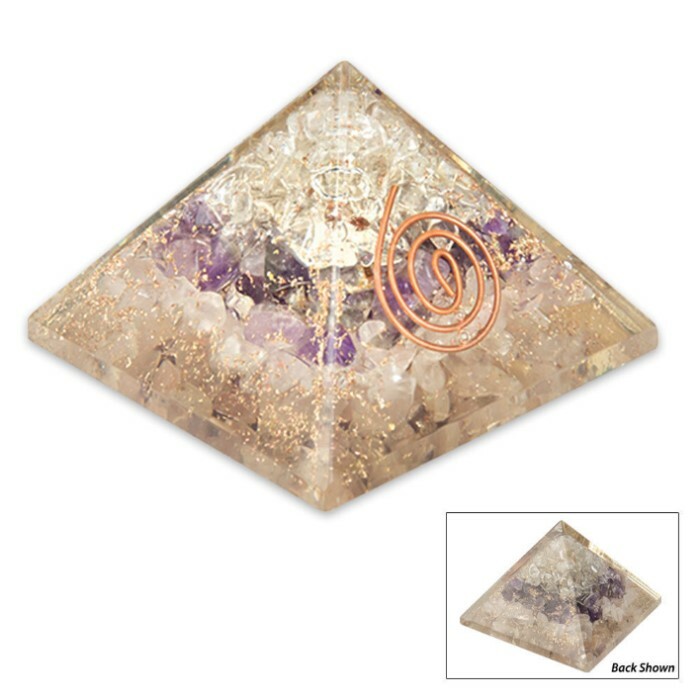 Keep your mind, body and spirit in perfect harmony with this Amethyst Crystal Rose Orgone Pyramid! This pyramid paperweight will add beauty and balance to your home or office. The orgone energy naturally encourages better health, concentration and spiritual growth. Get rid of unwanted, negative energy with this beautiful Orgone pyramid!